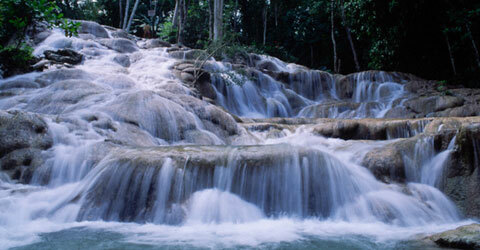 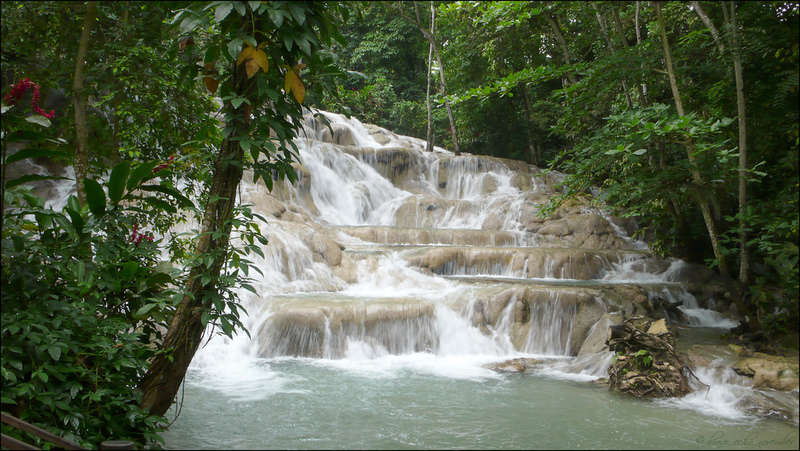 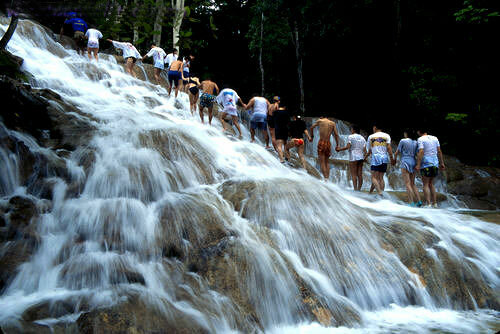 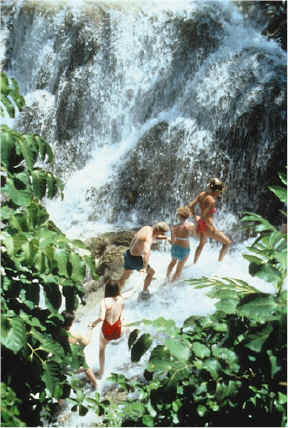 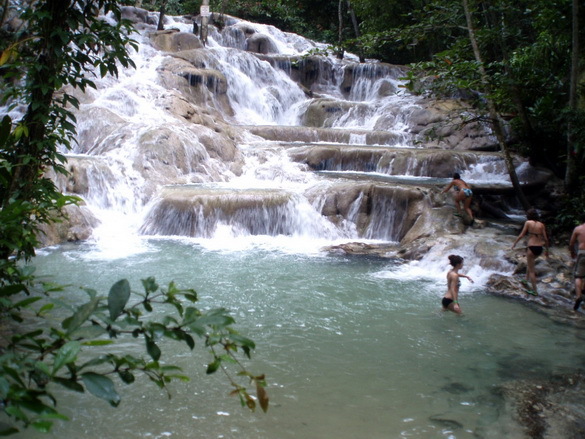 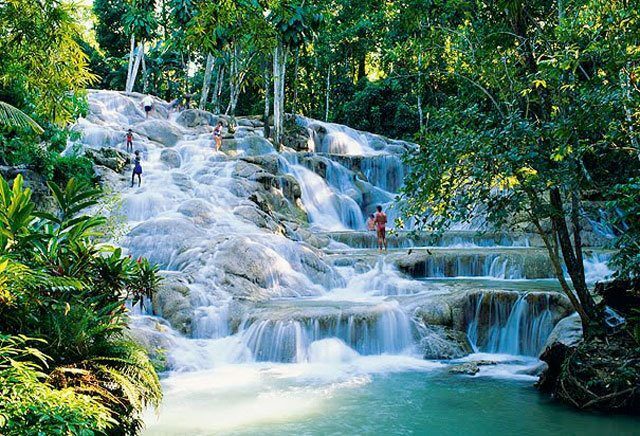 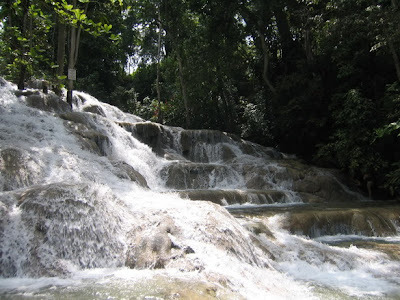 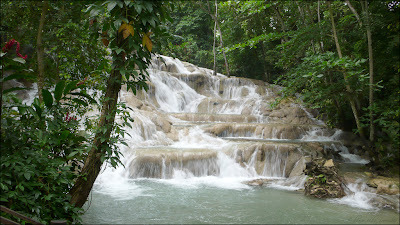 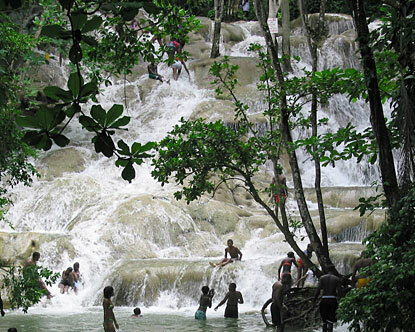 Dunn's River Falls is a famous waterfall near Ocho Rios, Jamaica. It is one of the major Caribbean tourist attractions. The falls empty into the Caribbean Sea. 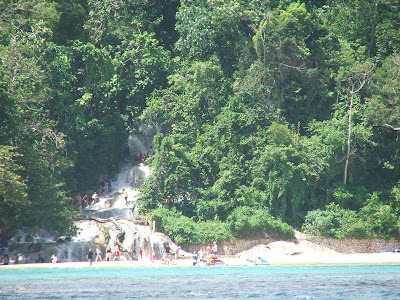 It is one of the very few rivers in the world that actually fall directly into the sea.